T.J. Murphy was 47, newly divorced, depressed, and pondering a knee replacement, the results of a lifetime of running. That's when he walked into a CrossFit "box" in Southern California. As an endurance sports journalist, he was a little skeptical of this gritty, sinewy world of Spartan gyms and tattooed Millennials. Soon he was a CrossFit devotee who no longer needed a knee replacement. 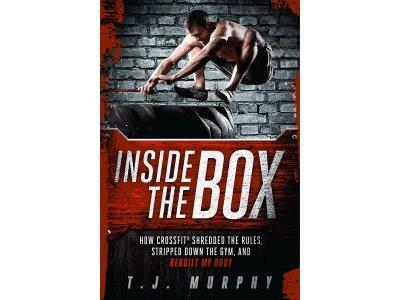 In his new book Inside the Box, Murphy chronicles the meteoric rise of CrossFit and how it transformed his body and his life.